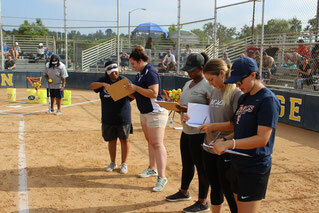 Elite Softball Showcases | Where College Coaches are on the field with the players, not in the stands. "Where college coaches are on the field not in the stands"
Individual showcases where coaches are on the field and all games are played on one field in front of all coaches in attendance. We limit the space in our showcases to ensure it remains an intimate experience for the players. Our showcase is held on one field, and each coach is on the field (not in the stands) for every game and drill. This is not a competitive camp; each game is controlled so every player gets a chance to showcase their skills and be seen by the college coaches in attendance. Every player is evaluated by every coach during the weekend. These scores are averaged by us after the showcase and sent to the player via email. They are presented on a scale of 1-5, indicating the collegiate level the player performed at during the showcase. The evaluations also include throwing/pitching velocity, catcher pop times, and base running times. We film you, and one of our college coaches will review this video with you and analyze your swing or pitch, breaking down your mechanics and giving you tips on how to improve. We will provide you with a link to this video (including the dialogue with coach) where you can download it to your device. This link will be provided the week following the camp. Video analysis is an additional fee. Separate charge for pitching and hitting. 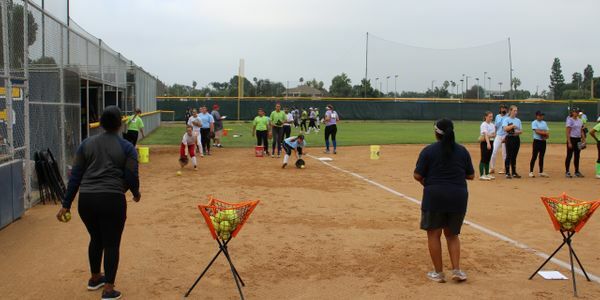 The evening before the showcase, we have early check-in and a seminar by Elite Softball Showcases staff and college coaches. 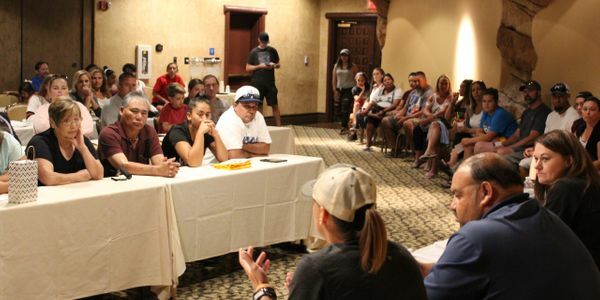 While not mandatory, this is a great learning experience for players and parents alike, as we go over getting recruited, playing at the collegiate level, how grants and loans work, and answering any questions. Saturday and Sunday morning, our coaches put the players through warm-ups ensuring they are loose and ready to play. This gives players an idea of what being on a college ball team is like. Included with the evaluation results is the data from our skills and drills, including arm strength and throwing velocity from infield and outfield, catchers pop times, home to first and home to home running times, as well as working on technique in various areas of fielding. We also do infield/outfield drills and the coaches work with the players to improve footwork and throwing ability in an effort to improve skills. Sign up for our bimonthly newsletter!